Capable of accommodating up to 50 guests, the Great Room at the Country Inn & Suites offers flexible seating arrangements for events ranging from corporate gatherings to wedding celebrations. The inviting breakfast room can also be used to host smaller, more informal gatherings. Allow our professional staff to assist with planning, offer catering recommendations and help you create a personalized Web page. Enjoy convenient services like free high-speed Internet access, a 24-hour business center and a complimentary airport shuttle. If you’re traveling with a sports team or group, take advantage of special group rates. 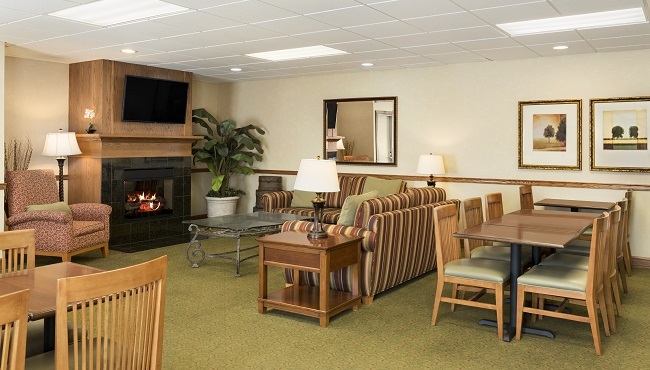 Accommodate your wedding party and guests in comfort at the Country Inn & Suites, Peoria North. Group bookings are available at competitive block rates, and the couple will enjoy a complimentary bridal suite when 20 rooms are booked within the block. A free guest shuttle provides transportation to Peoria-area destinations. The hotel staff strives to fulfill any special requests of the wedding couple, and all guests can enjoy features like free Internet, a fitness center and an indoor pool.